As Las Cruces & Southern New Mexico’s favorite graphic design company, D2 Designs is more than willing and certainly capable of taking you beyond the next level, straight to the top. 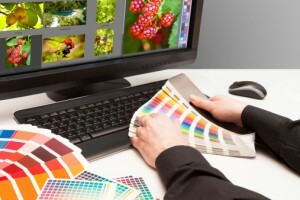 Our team has many years of combined graphic design education and professional experience. Whether you’re looking for something simple, or a complete re-branding of your company or organization, D2 Designs has the tools and knowledge to turn your vision into reality. D2 Designs’ graphic design services are the heart of our business and the starting point for ALL our products and services. Websites, Logos, Business Cards, Postcards, Rack Cards, Brochures, Fliers, Signs, Textiles, Vehicle Graphics & Wraps are just the tip of the iceberg of the products and services we offer that require graphic design.